The half-bridge topologies come with a selection of choices for connection technologies such as press-fit and spring contact as well as for the integration level: current measurement shunts can be included in the power module, plug & play driver solutions and pre-printed Phase Change Material can be supplied to shorten the time-to-market and development times. The family concept of SEMiX includes a unification of IGBT and rectifier housings. All have the same height (17mm) and can be connected by one principle DC-link design. This saves development time and makes a simple and low-inductance DC-link profile possible. SPRiNG or press-fit contacts allow a gate driver to be mounted directly on top of the module eliminating the risk of noise on wires or loose connectors. Thanks to the flat package and separate AC and DC terminals, a highly compact, state-of-the-art inverter design is possible. The auxiliary contacts, avoid solder joints and offer highly reliable pressure contacts. 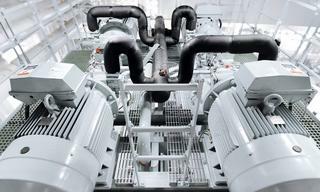 This leads to an increased product reliability and lifetime. The solder-free contacts make for quick and easy assembly process. 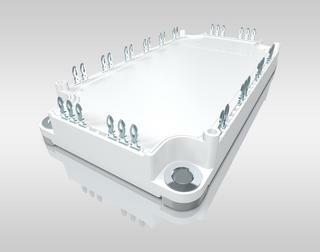 Production at the customer site can be optimised by a uniform direction of assembly (everything top down). This simplifies logistics and reduces manufacturing costs. The half-bridge topologies come with a selection of choices for connection technologies such as press-fit and spring contact as well as for the integration level: current measurement shunts can be included in the power module, plug & play driver solutions and pre-printed Phase Change Material can be supplied to shorten the time-to-market and development times. The SEMiX Spring package covers SEMiX 1 to SEMiX 33 in the proven 17mm module with SPRiNG contacts for auxiliary connections. SEMiX Spring modules are available in half-bridge, 6-pack or chopper topology and allow a flat and compact inverter design. The SEMiX 3 Press-Fit package is new in the SEMiX product family and combines the proven SEMiX with the fast and easy assembly of the Press-Fit technology. SEMiX 3 Press-Fit is also available with integrated shunt resistors for AC-current measurement. SEMiX 5 Press-Fit is a compact baseplate module with optimised AC and DC screw connections. Press-Fit technology allows a solder-free mounting of the gate driver. The SEMiX 5 Press-Fit is also available for NPC and T-NPC 3-level applications. SEMiX is a flexible and application-oriented module. On the basis of a scalable platform concept, modern chip technology is integrated into IGBT and rectifier modules which are used in a wide variety of applications, such as AC motor drives, switching power supplies and current source inverters. Other typical applications include uninterruptible power supplies, photovoltaic systems, wind energy and automotive applications. 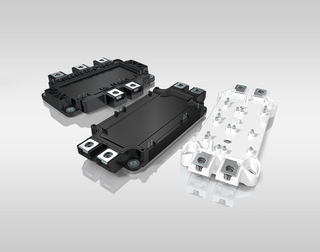 For the IGBT modules different housing sizes are available in 600V, 1200V and 1700V. Half-bridge, 6-pack and chopper topologies are available with a current range from 75A to 600A. Besides IGBT3 and IGBT4 chips, the 1200V range also includes a series with V-IGBT devices. Controlled, half-controlled and uncontrolled rectifier modules with identical footprint and 17mm height are also available. For the newest housing versions, we offer optional integrated shunt resistors, 3-level topologies (NPC, T-NPC or Buck-Boost-Converters).